If the Wizards are going to make a run for the playoffs, they need to show a sense of urgency for each game. The win one lose two option is not going to take them to the post season and it is beginning to look like some of the players are fatigued going into these final weeks. Bradley Beal, who had two back to back 40 points games just looked out right tired and looked as if he has given all he can this season with his league leading time in minutes. Five Utah players scored in double figures tonight led by Donovan Mitchell with 19 points and Jae Crowder with 18 as the Jazz overwhelmed the Wizards in a 116-95 blowout win on Monday night. The Wizards finally found their footing on the offensive end in the second half. 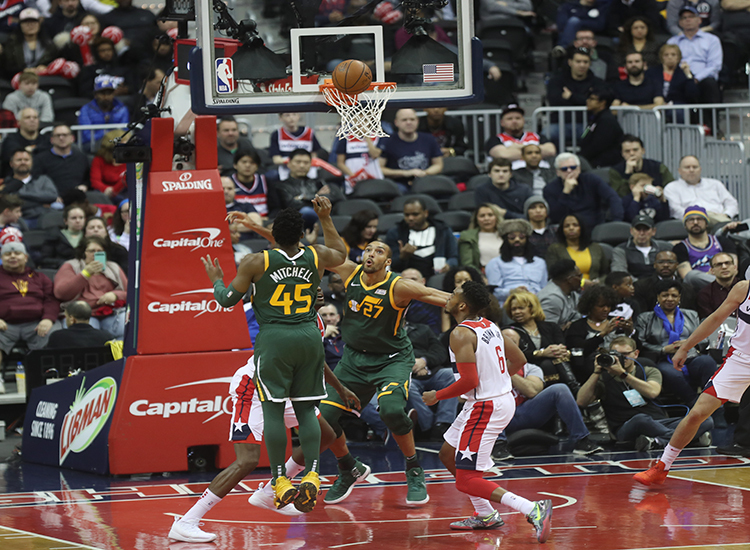 However, the defensive end continued to be a huge issue tonight as they couldn’t get timely stops when they needed them and Utah opened the game up outscoring the Wizards 34-26 in the third quarter for a 91-71 lead. The Wizards head to Chicago for a match-up against the 19-52 Bulls on Wednesday night and will not return home until next week as the NCAA Tournament is in town for the weekend.